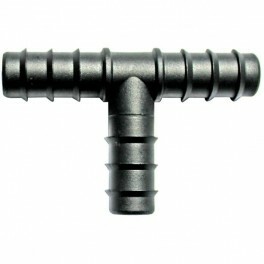 Three way Tee Connectors are ideal for joining sections of your Soaker Hose layout as opposed to bending the hose which can kink easily thus interrupting the water flow. They also give the installation a more professional appearance. 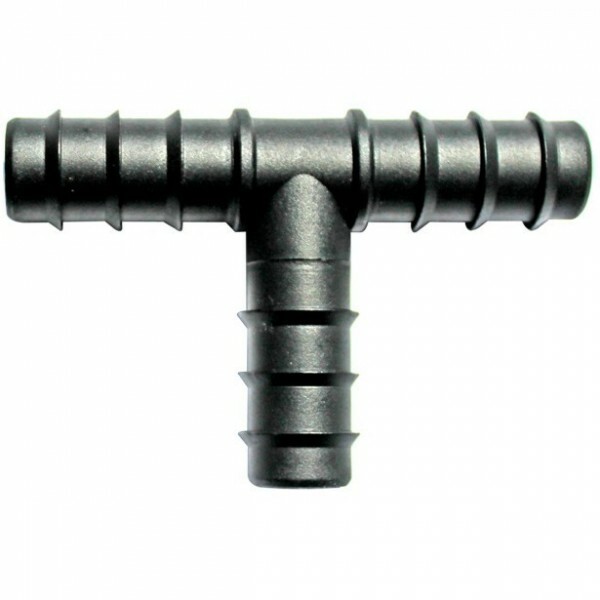 This hard plastic Tee Connector with 16mm barb fitting will fit into the majority of standard half inch internal diameter domestic hose pipes but if loose fitting, use a jubilee clip or cable tie to obtain a good watertight fit. The barb fittings are meant to be very tight so it may help to insert the end of the Soaker Hose into very hot water and push the fitting in whilst the material is still pliable. It can also help by holding the inserted part of the fitting and the pliable end of Soaker Hose whilst pushing against a hard surface to press the 3 way Tee Connector securely into place.